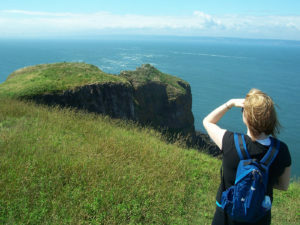 You will need a good sturdy pair of hiking shoes for this tour. 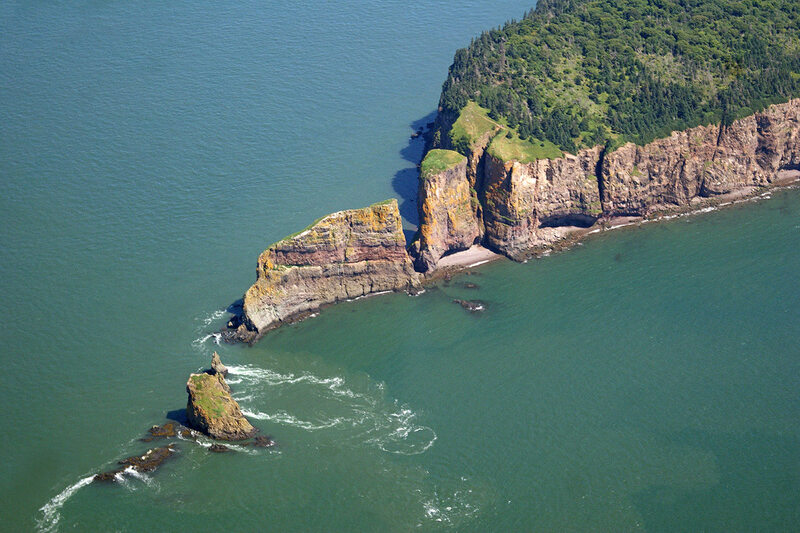 We cover a lot of ground on our way to the incredible sight of Cape Split, where the land has separated itself from the peninsula due to the forces of the Bay of Fundy, home to the highest tides in the world. 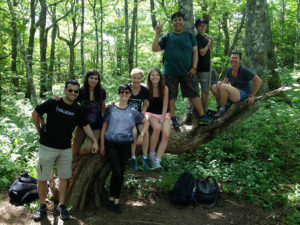 During the hike your guide will share with you stories of the Mi’kmaw people who believed their demigod Glooscap created this natural phenomenon. 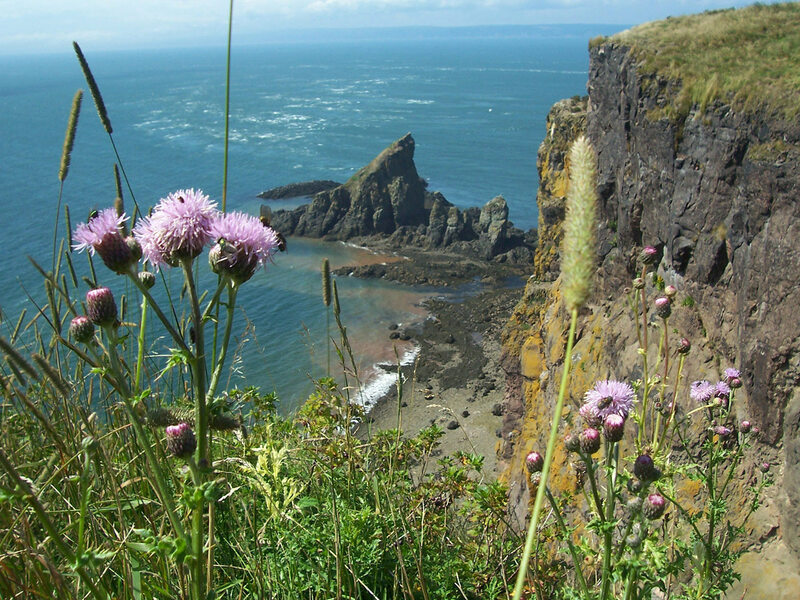 You’ll learn all about what creates such high tides in this particular part of the world, the various plants which line the trial towards the “split” and experience the diversity in this unique ecosystem. 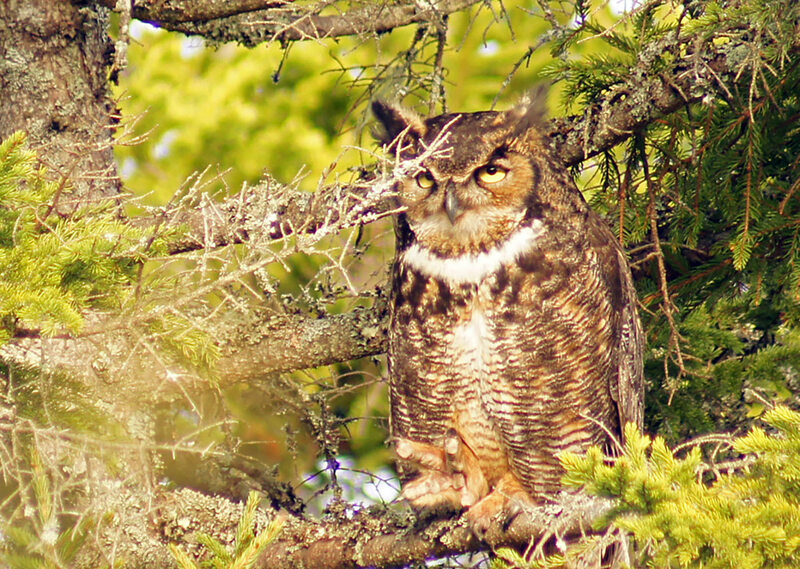 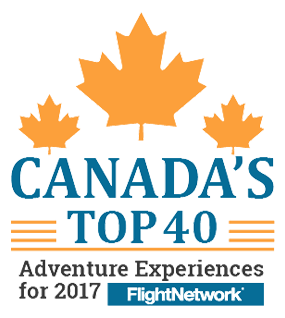 Also on this tour we get the opportunity to see the Minas Basin from the Valley Look-off, so don’t forget to pack your camera as bald eagles are often seen soaring overhead high above the valley floor below where farms stretch as far as the eye can see. 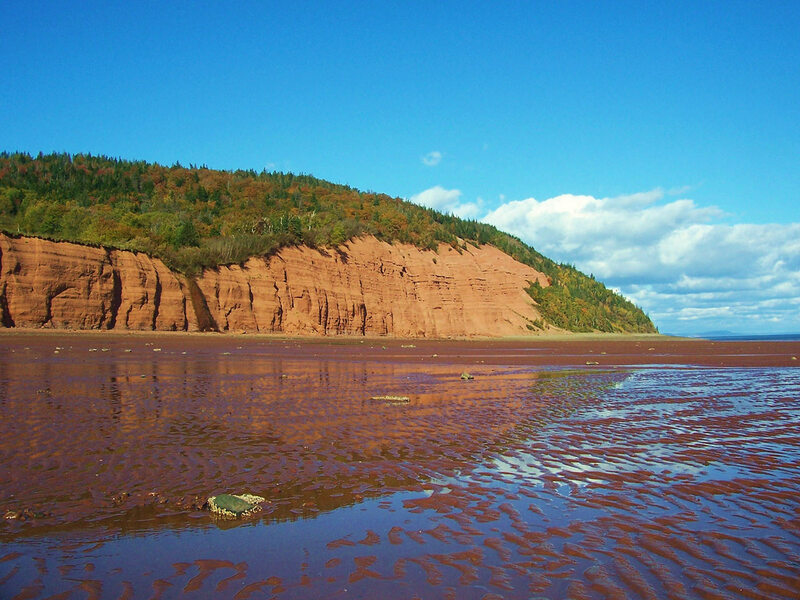 Blomidon Provincial Park offers great scenery where 300 foot red cliffs tower over a beautiful beach that drains every 6 hours, only to be filled back in with sea water an additional 6 hours later. The Bay of Fundy and its’ tides are one of the natural wonders of Canada. What I do remember quite vividly was how rejuvenated I felt after the day was over and feeling like 10 years was shaved off my age. The fresh air, great exercise and enriching stories of the land and sea has made me feel the experiences of those who trekked those trails before they were actual trails once upon a time ago. 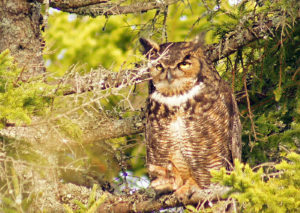 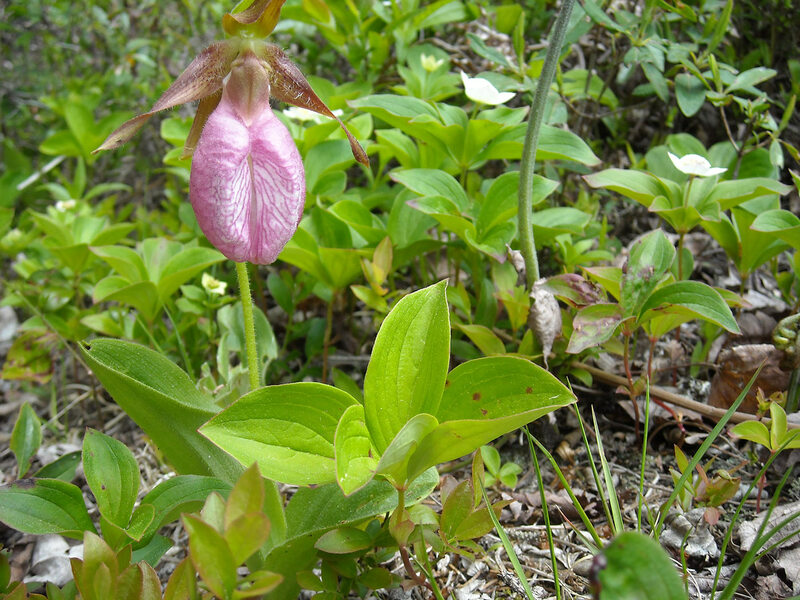 The company offers a good variety of hiking tours, which brings people to many beautiful spots in Nova Scotia. The guides are knowledgeable and extremely friendly, explaining not only the history of the region, but also providing information on the geological formation, flora and fauna of the region. 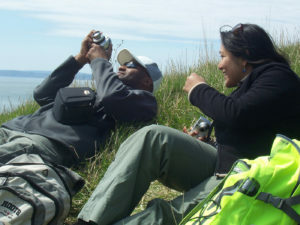 This is our longest hike of all the day tours we offer. 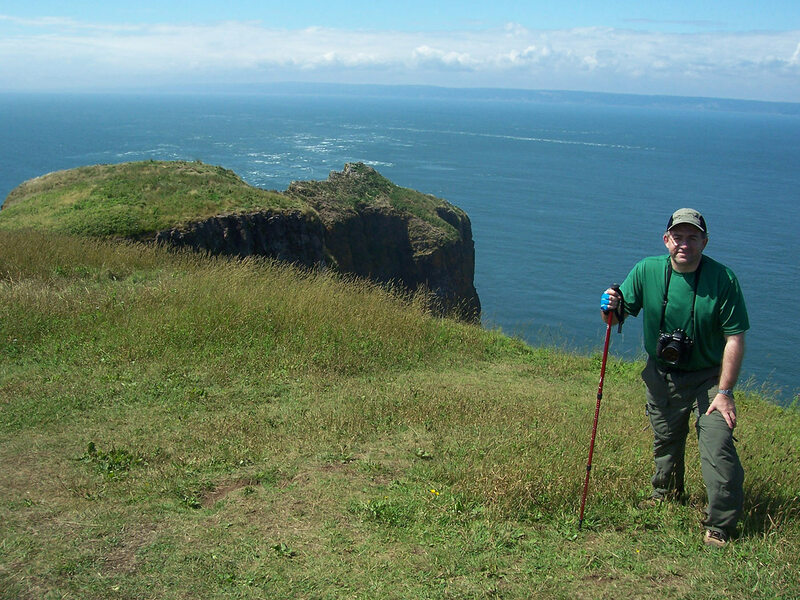 Although the length maybe long the trail does not present much difficulty other then the occasional exposed root, wet patch and slight incline during the first portion of the hike. Reaching far out into the waters of the Bay of Fundy lays a remarkable sight. 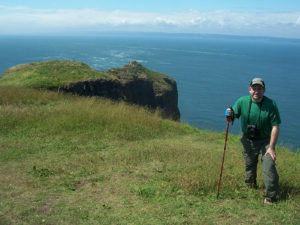 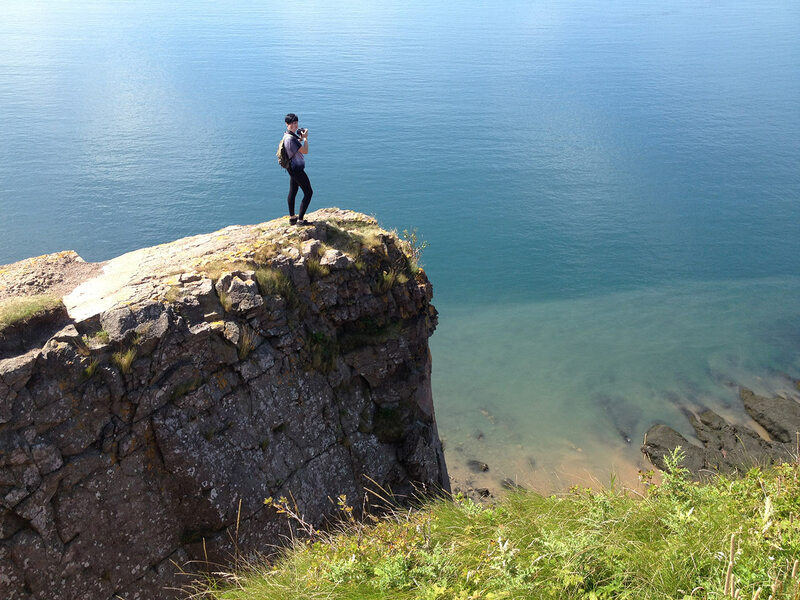 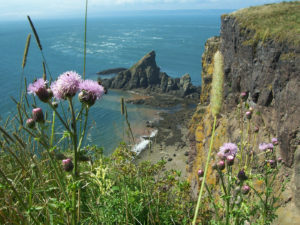 Perched hundreds of feet above the world’s highest tides sits a grassy knoll at the top of Cape Split. 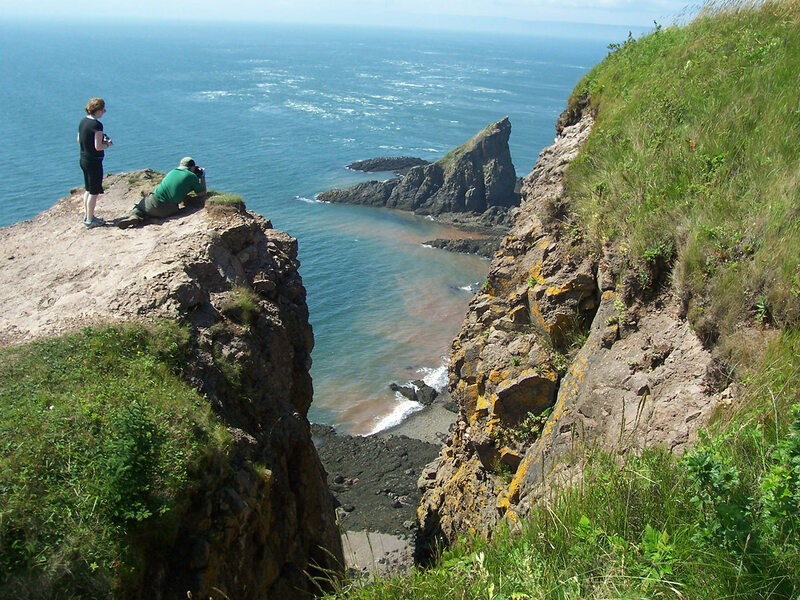 From this vantage point one can witness the power of Mother Nature at her finest as 100 billion tons of water changes during the tide cycle. The Mi’kMaq people once lived freely within this region. 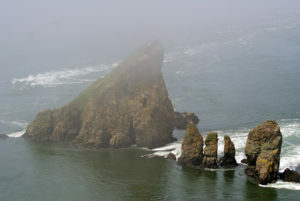 Their Indian god known as Glooscap was said to have lived on the top of the red sandstone cliffs of Cape Blomidon. 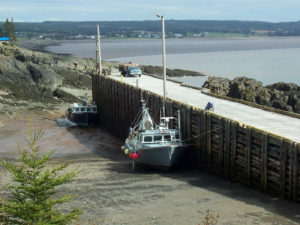 Glooscap’s arch enemy “Beaver” was believed to have created an enormous dam across the Bay of Fundy which caused the tides to flood over the land. Glooscap struck down on the dam with a powerful bolt of lightning causing the land to split, now known as Cape Split. This allowed the water to flow freely through the Bay of Fundy into the Minas Basin and creating the world’s highest tides and leaving behind a beautiful valley with rich red soil and green pastures.